Deb has been working at Newark Beth Israel Medical Center (Children’s Hospital of NJ) as a Pediatric Oncology nurse for the last eight years. She is currently pursuing a DNP at Rutgers University Specializing in Pediatrics with a Subspeciality in HIV. 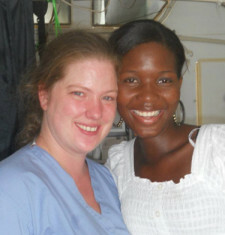 Deb loves going on medical missions, which led her discovering TiKay 3 years ago.